Our lot at 727 Cedar St, Chico. Brown's Towing opened in December of 1989 in Chico, CA. After years working the wrecking yard and a number of other odd jobs, owner Wess Brown decided to start a business around his passion: cars. Meanwhile, he also became an stock car racer, assembling each chassis from nothing but scrap and will. It inspired the motto "Coming through for you" to reflect his can-do attitude. He believes that anything we put our mind to, we can accomplish. Brown's Towing rescues stranded vehicles, helps with lockouts, tows cars, trailers, trucks, and motorcycles, hauls small- to moderate-sized equipment, and works with local government to keep the roads safe. All of our drivers are CTTA certified and trained to handle a variety of road emergency scenarios, from winching sedans out of ditches to pulling trucks out of wonky positions. We even recover submerged vehicles! We have served the Butte community (and more) for over two decades and continue striving for excellence in service. Rest assured your call will be handled with the utmost professionalism, and you'll get great prices to boot. Whatever you need, whenever you need it, call Brown's Towing and we'll "come through for you!" Do you have mission-critical towing needs? Equipment you want long-hauled across the state? Require impound service that operates 24/7? Then you need Brown's Towing. 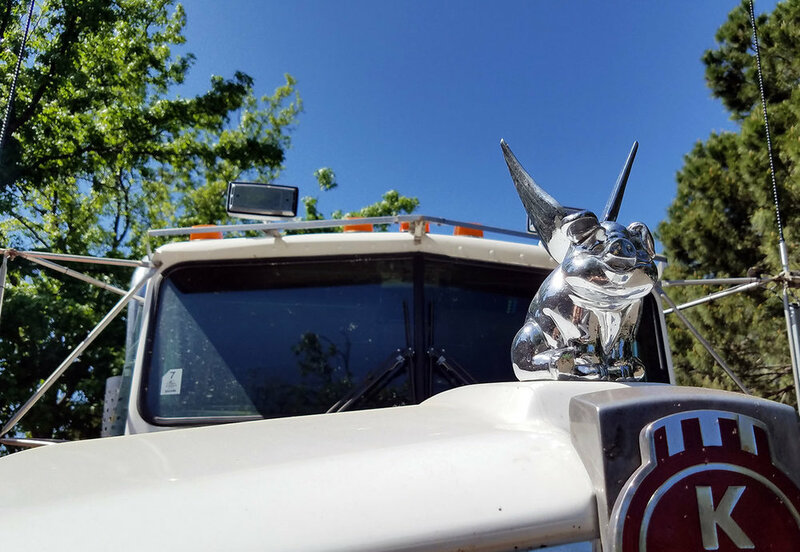 Wess started Brown's Towing over 30 years ago and worked day and night to make this Chico's premiere towing service. Mostly nights now, because we make him answer the phones whenever possible. Jesse manages the day-to-day office operations, dispatches drivers, and handles books and accounting. Whenever there's a problem, we bring it to her first. Kevin was abandoned on the side of a road as a child and raised by wild coyotes. Unfortunately, he just didn't smell right to them and was chased out of the pack, left to wander long stretches of highway between Nevada and California for over a decade. One day, Wess found him dehydrated and near-death. Thinking Kevin was some kind of legendary skunk ape, Wess was surprised to learn this was actually a man, and so we taught him our humans ways. He's taken to towing better than civilization, but that's what makes him such a good driver! Dave is the only man in California who can breakdance like Jeff Gordon. He once defeated Gordon at "Breakin'", only to derail Jeff's life aspiration of becoming a dancer and forcing him to take up driving instead. We still haven't forgiven him for this. That is actually a picture of our lot docent, not Juan. Juan's image cannot be captured on film thanks to vampirism. But the good vampirism, not like Dracula, but like Blade. He can daywalk too.